Headquartered in Warren, Michigan, Warrior Sports is recognized as one of the sporting goods industry’s premier manufacturers of innovative, high performance, cutting-edge equipment, footwear and apparel for lacrosse and ice hockey athletes of all ages and abilities. 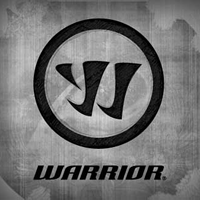 Founded in 1992 by former champion lacrosse player David Morrow, Warrior was acquired by privately-held New Balance Athletic Shoe, Inc. in February 2004. The 2007 acquisition of Boston-based Brine Sporting Goods further established Warrior Sports as the dominant force in the lacrosse world.